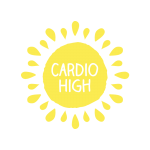 Cardio High operates a clean gym with a friendly atmosphere in Newton, MA. Our innovative approach to fitness combines fast paced interval training with low impact movement, so clients get a great workout that leaves them with a cleansed, energetic feeling. All clients wear Polar heart rate monitors, so that they learn to train at their own pace. Cardio High trainers provide guidance and motivation, so clients train with proper form and push themselves safely to their limits. Studies show that people continue to burn fat for up to 36 hours following a high intensity workout. It’s a great way to get fit fast. Mark played lots of squash, tennis and Ultimate Frisbee in his 30s and 40s, paying for it with plenty of shoulder, back and leg injuries. As he got older, Mark wanted to continue experiencing that incredible high from intense sports but without the risk of soreness and injury. That is what inspired the Cardio High workout. Mark worked with a variety of trainers and coaches, asking each to raise his heart rate without straining his body. He also participated in dozens of different fitness classes looking for high-intensity movements with minimal impact. 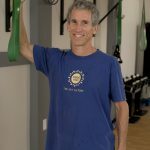 Armed with a range of ideas, Mark tested the various programs with trainers, clients, physical therapists and corrective exercise guru Aaron Brooks, the founder of Perfect Postures. This led to the core set of exercises that form the Cardio High workout. Since the very beginning, Mark has worked on adapting Cardio High to many levels of fitness, from athletes intent on improving speed and stamina to those looking to get in shape with a safe, intense workout. The Cardio High team at our gym are focused on making Cardio High varied and fun. 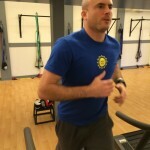 Derric started his fitness career as a personal trainer and group fitness instructor in Milton and Dedham. He also honed his people skills as a bartender in hospitality driven establishments like Steel & Rye in Milton. Derric recently opened his own self-defense studio in Dedham and operates a second facility in Quincy. He is a Level 1 CrossFit trainer, certified KB trainer and certified Gracie Jiu-Jitsu instructor. Derric enjoys hanging with his family and competing in Spartan races when he has a little spare time. Anna comes from rural CT and attended University of Connecticut where she received a BS in Nutrition Science and BS in Exercise Physiology. She moved to Boston for grad school at Tufts University where she received a MPH and MS in Biochemical and Molecular Nutrition. Currently, Anna is training as a clinical dietitian at Brigham and Women’s Hospital, and continuing a PhD program in rehab science/biomechanics at Boston University. She has always loved being active and grew up as a three season athlete. 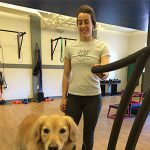 During college and early grad school, she transitioned to competitive running, but now she is more interested in olympic weightlifting and trail running with her dog, Lady! Leslie has been passionate about exercise beginning at a young age when she swam competitively in high school and college. She added distance running to her repertoire when she accepted the challenge to run the Boston Marathon in 1998 for Team in Training. 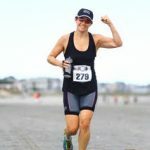 Always ready for a new challenge, she began competing in Sprint Triathlons in 2015 to support JDRF (Juvenile Diabetes Research Foundation), a cause she passionately supports. In May 2017, she ran the Providence Marathon as a mentor for Dreamfar, the high school marathon group. She competed in her first Olympic Tri in July 2017 and looks forward to competing in more in the near future. Wendy graduated from The National Personal Training Institute in Waltham, MA in 2012. 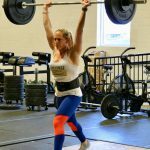 Wendy continued to study various fitness disciplines and is now certified as a level 1 CrossFit trainer, Kettlebell certified through NPTI and certified to train clients on TRX. Wendy has a background in competitive gymnastics, and she is passionate about fitness and helping others achieve their goals. She likes to push her body to it’s limits and challenge others to do the same. She enjoys trying all types of workouts and staying up to date with the latest fitness trends. Kathy started her fitness career by teaching group exercise classes more than 15 years ago. Kathy enjoys applying her training in the gym to fun outdoor activities like hiking, swimming, kayaking and especially playing with her kids. Kathy has added to her Group Fitness expertise by becoming a certified Personal Trainer and CrossFit Level One. She is currently working on her Corrective Exercise Certification. 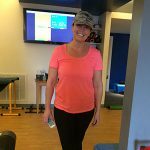 Jessica has a background in corporate Health and Wellness and has recently expanded into the personal training space by attending the American Academy of Personal Training. Jessica has been teaching group fitness at the YMCA for 3 years and is passionate about health, fitness, and nutrition. When she isn’t working or working out, Jessica is a mentor for Dreamfar High School Marathon, and an assistant coach for the Belmont Special Olympics Volleyball team. 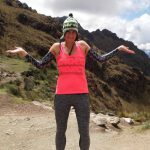 Jessica has completed 12 marathons, an ultra-marathon, and is an avid hiker and adventurer.